SANTA CLARA, Calif. – October 10, 2018 – Acalvio™ Technologies, the global leader in Active Defense, has been selected as a 2018 SINET 16 Innovator award winner. SINET, a prestigious cybersecurity organization, evaluated hundreds of emerging cybersecurity companies to select the 16 most innovative companies, known as the SINET 16 Innovators. 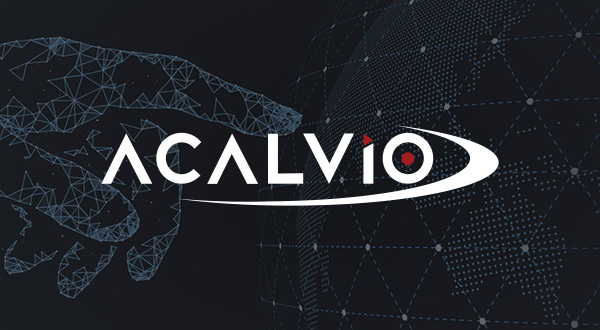 Acalvio was selected for the company’s industry-leading ShadowPlex autonomous deception solution which leverages artificial intelligence (AI) at every step, resulting in significant reduction in the effort to deploy deceptions and increase detection efficacy. ShadowPlex is built on a dozen patents, enabling Acalvio’s global customer base to benefit from defense in depth, a reduction of false positives, and the ability to derive actionable intelligence for remediation. Acalvio has innovated on many dimensions and recently launched the industry’s first comprehensive distributed deception platform to protect public cloud workloads – ShadowPlex Cloud. ShadowPlex Cloud extends deception to the cloud and supports all leading public cloud platforms, including Amazon Web Services (AWS), Microsoft Azure and Google Cloud Platform (GCP). ShadowPlex Cloud leverages AI to engineer and deploy a rich mix of deceptions at scale, powers it from the cloud and blends it with target assets. Cloud-specific decoys include Infrastructure Compute, Services, Storage and even Application Decoys (Containers, Kubernetes Clusters, etc.). For more information on Acalvio and ShadowPlex, please visit www.acalvio.com. Acalvio provides Advanced Threat Defense solutions to detect, engage and respond to malicious activity inside the perimeter, both on-premises and in the cloud. Acalvio’s Autonomous Deception Platform, ShadowPlex is anchored on patented innovations in Dynamic Deception, Software Defined Networking and Data Science. ShadowPlex enables a DevOps approach to deploying enterprise-scale pervasive deception with low IT administrative overhead. ShadowPlex delivers comprehensive threat intelligence by integrating with other ‘best in class’ solutions in the security industry, enabling customers to benefit from defense in depth; low false positives; and derive actionable intelligence for remediation. Acalvio has blue chip clients and partners; and is the recipient of 2018 Trust Award from SC Magazine and the RSA 2018 Innovation Sandbox finalist award. The Silicon Valley based company is led by an experienced team with a track record of innovation and market leadership and backed by marquee investors. For more information, please visit www.acalvio.com.